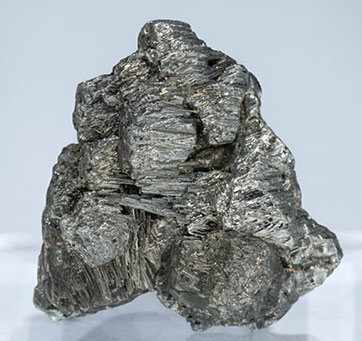 Group of crystals with very well defined faces and edges, with a very well defined and fine vertical striation and with a luster that is unusual for the species. 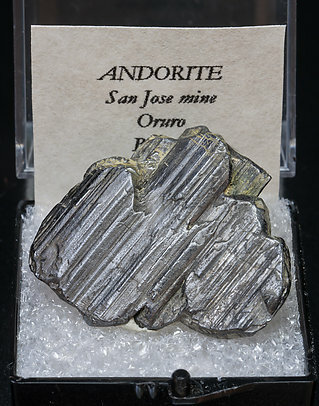 Parallel growth of flattened and doubly terminated Andorite crystals that have very well defined faces and edges and are bright, with a fine striation. Great esthetics on this Andorite!. 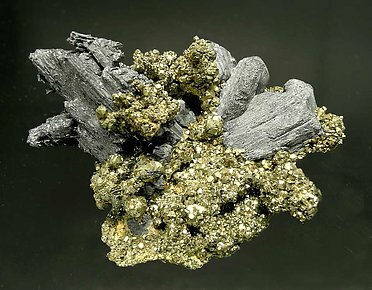 It has some definite and aerial crystals, some of them doubly terminated and perfectly positioned on a matrix of bright Pyrite crystals. Some acicular crystals of Zinkenite complete the piece. 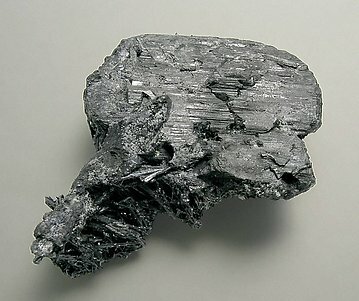 The crystal is doubly terminated, more defined than usual for this species. Its platy form has grown on a matrix of acicular crystals of Zinkenite.